Our caring and compassionate is here to look after you. 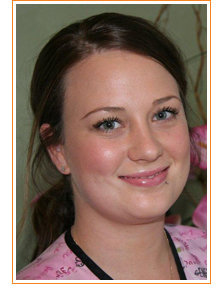 I am a trained clinical nurse and have been working at Bay Dental for 8 years. I like meeting, conversing and getting to know all the patients. I love playing touch football with my team, cooking, going out, visiting the beach and trying to surf. I love most foods especially steak and garlic prawns, iced teas and the occasional Midori.